The Parapulpal Retention Detin Pins is used for the fixation of composite fillings and as a rotarional stop for titanium root posts. 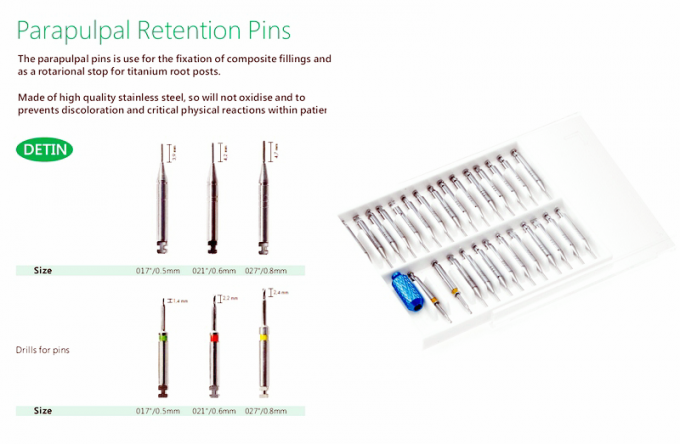 Made of high quality stainless steel, so will not oxidise and to prevents discoloration and critical physical reactions within patients. 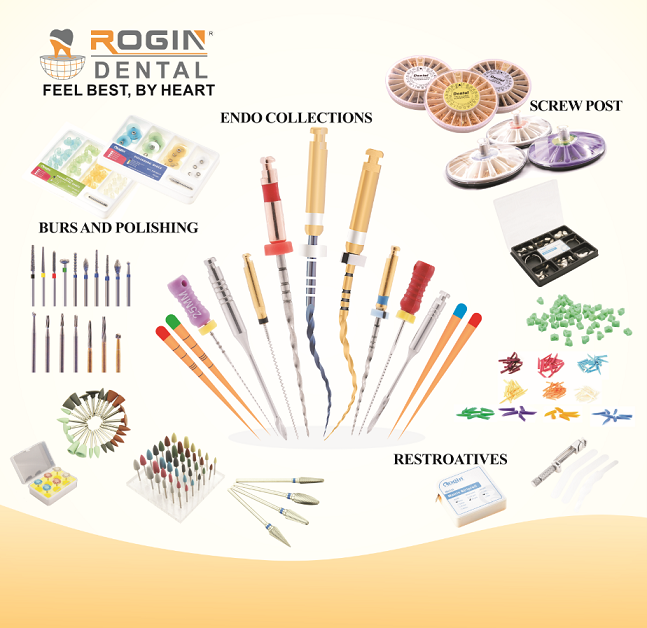 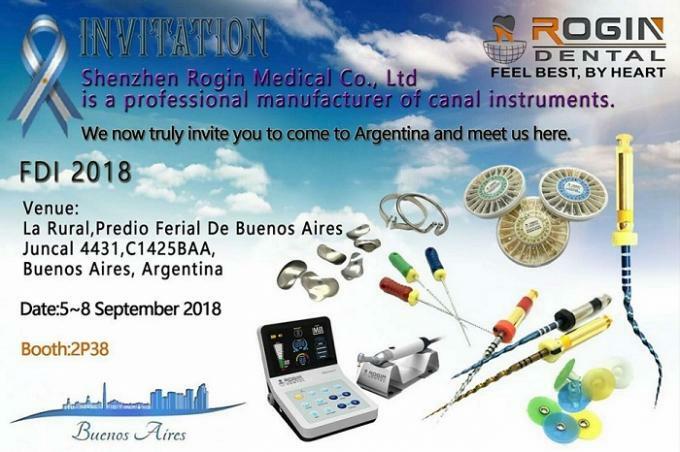 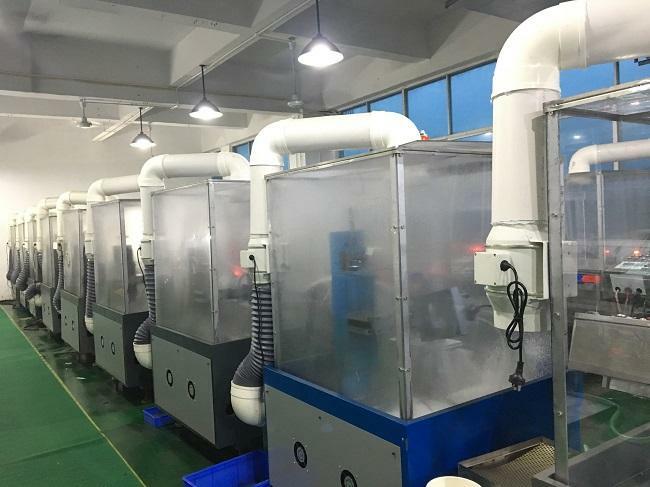 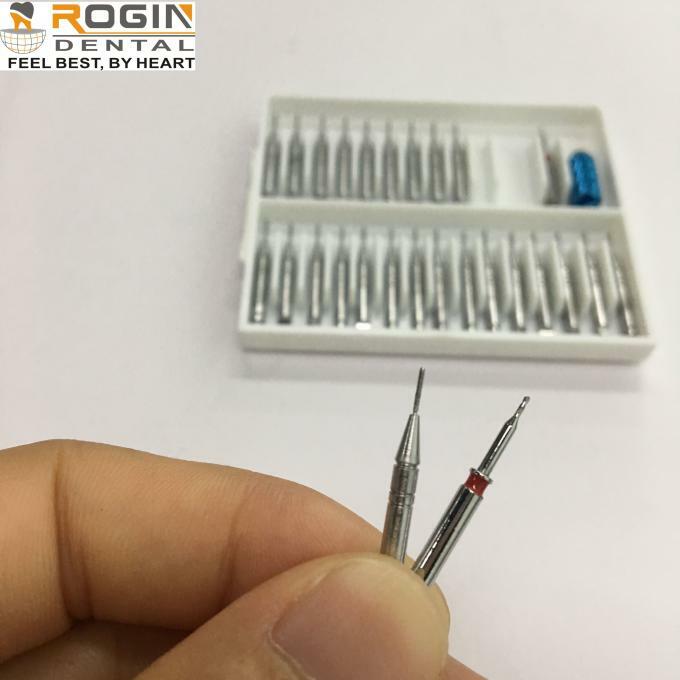 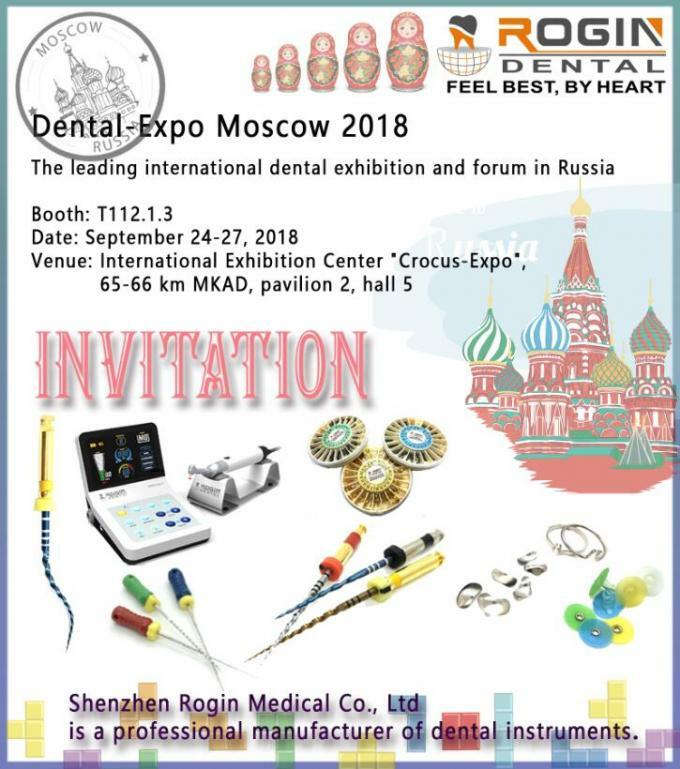 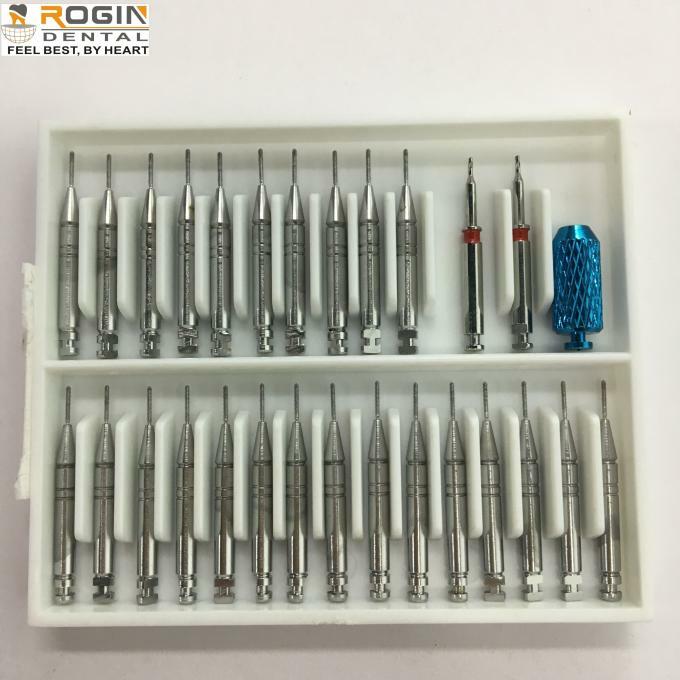 Shenzhen Rogin Medical Co., Ltd is a manufacturer of endo files, broaches, gate&peeso, screw posts, matrices, burs and also other dental produts with well-equipped testing facilities and strong technical force. 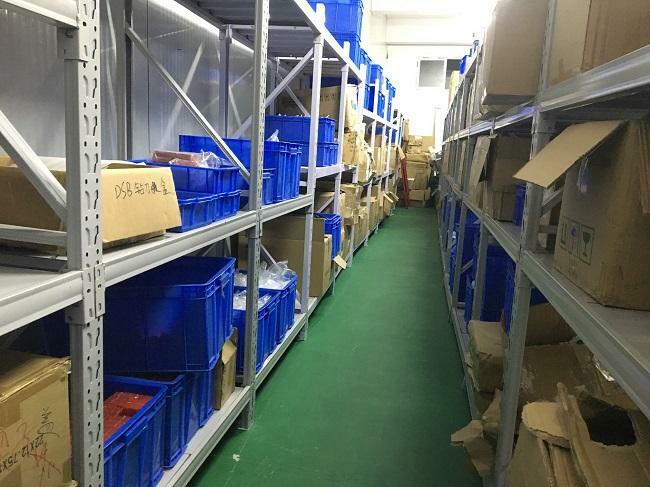 We can make OEM products if our customer required. 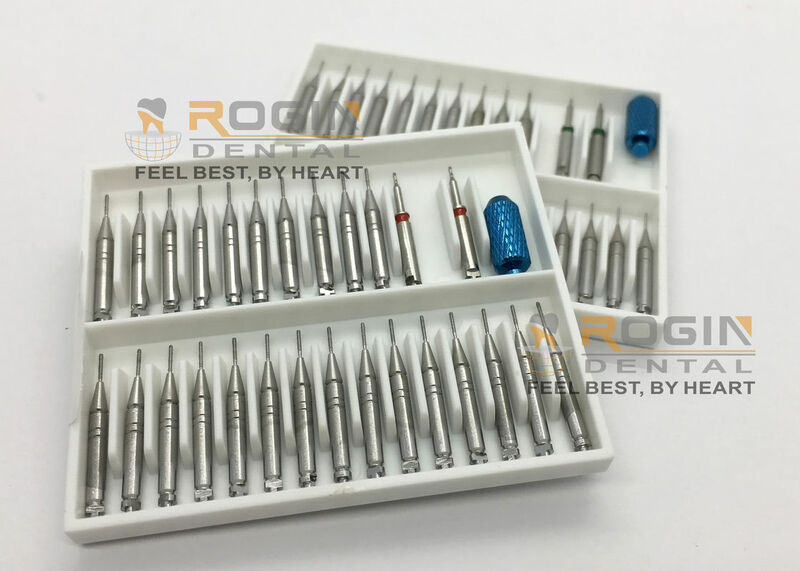 With a wide range, good quality, reasonable prices and stylish designs, our products are extensively used in dental clinic, dental lab and other industries.